140 people are expected from the Benfica's branches, out of a total of 2500 representatives. The match is on Sunday, at 5:30 pm, at Estádio da Luz, and the tickets cost 10 euros at all Casas do Benfica with a ticketing system. 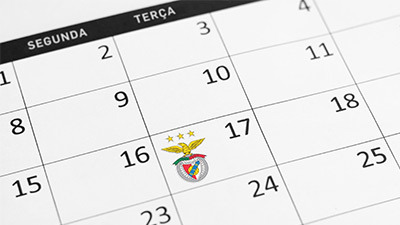 It is right on Sunday that Sport Lisboa e Benfica comes back to action, this time for Round 21 of Liga NOS. The welcoming to Nacional da Madeira is also this season's match dedicated to Casas do Benfica, a moment which is repeated every year, once more full of emotions! For some time, the Club dedicates a football match to honor these true strongholds of the benfiquismo. This year, the match chosen is the one against Nacional, in Round 21 of Liga NOS. At the Benfica-Nacional halftime there will be a special moment, a 280 people parade on the stadium's pitch.